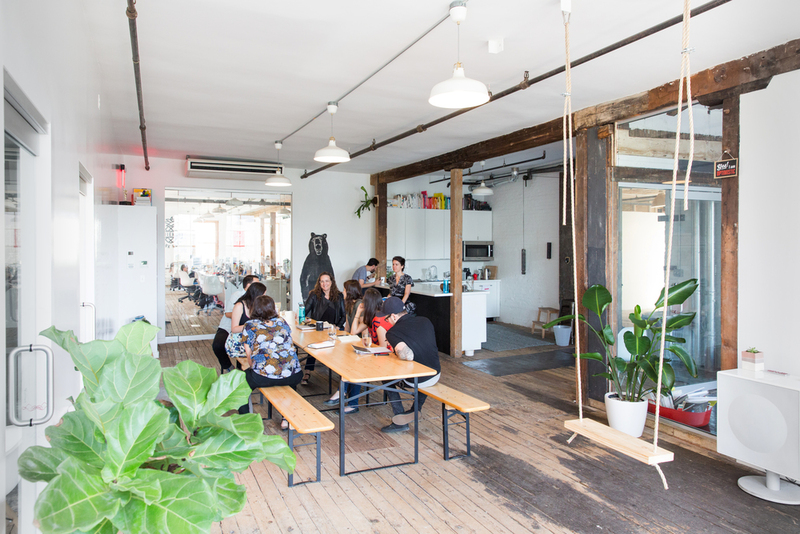 FRIENDS is a Brooklyn-based coworking community and the work home to 35 creatives — designers, filmmakers, writers, illustrators, developers, photographers, and people doing generally awesome (creative) work. 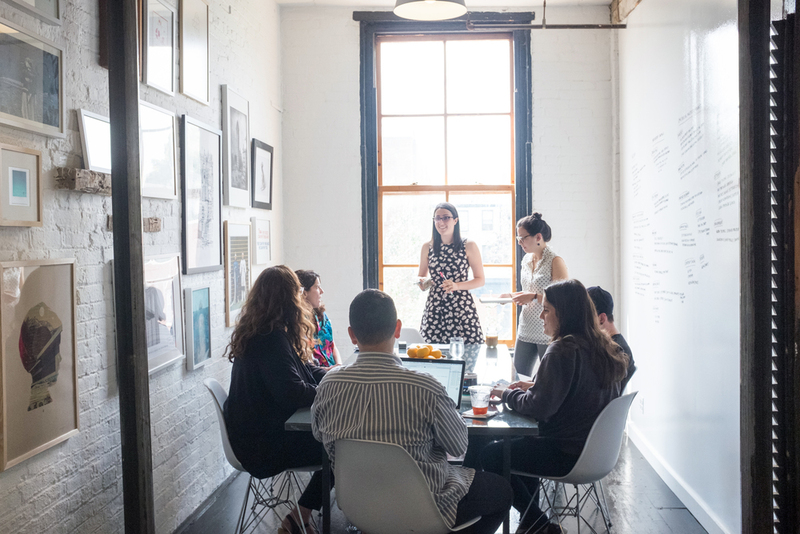 We live on the third floor of 47 Bergen Street in Brooklyn in a beautiful open space with exposed brick, old wooden floors, and windows galore. The space includes a lounge area, full kitchen, phone booths, a conference room, lunch tables, whiteboards, and 30 work stations. We hope to find people who are curious, take their side projects seriously, and who believe that collaborating is good for the soul. We love individuals who love what they do and continuously strive to grow and get better. We appreciate people who love the internet as much as we do. We want doers and kind souls. FRIENDS is one of Tina Roth Eisenberg's labors of love. She previously started and ran Studiomates out of DUMBO. 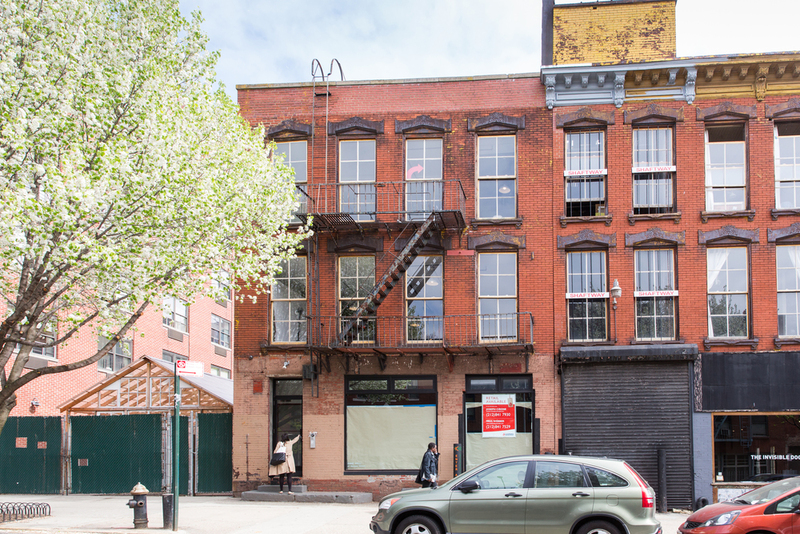 FRIENDS operates out of a historic factory building in Boerum Hill. The space is divided into a lounge and kitchen area in the front and a work area in the back. The lounge area also includes two phone booths and a conference room. We are part of The Invisible Dog Art Center, rubbing shoulders with amazing 30 artists in residence. If surrounding yourself with kind, driven, creative people is your thing, you'll love it here. Bas Berkhout generously created this video telling the story of FRIENDS. It includes beautiful photography by Tory Williams. You have two options in joining our awesome community: You can either become a full-time member with a dedicated desk ($675/month) or you can become a floater ($450), which means you don't have a dedicated desk but can come and work with your laptop from the space. To schedule a tour or come test the space for a day, please get in touch with the form below. Liz, our studio manager will be in touch! Tell us about yourself, the work you do, and clue us into a project or piece of personal work you are proud of. Send us a link to your animated GIF of choice.